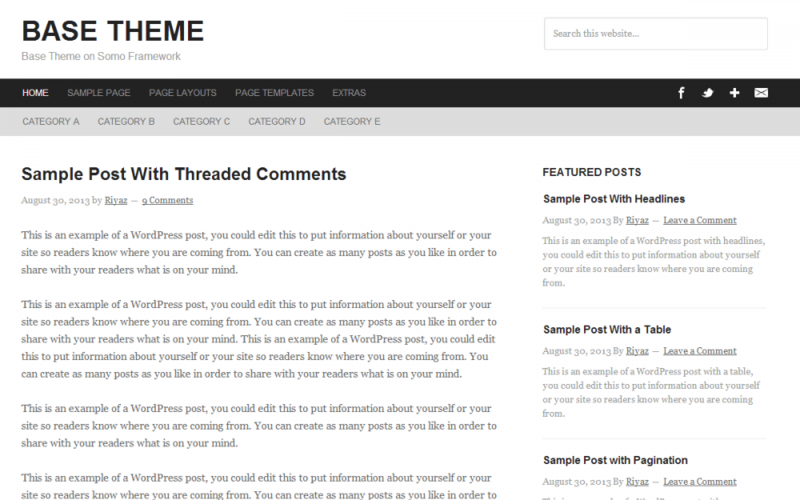 Base Theme is a bare-bones theme built with the Somo Framework for WordPress. It sports a minimal look helping you build upon it easily. Base theme provides out-of-the-box support for Social Media optimization and Mobile Responsive Design. Base theme comes with a minimal design which may be used as is. If you are a developer, you may want to use it to build stunning yet powerful websites with WordPress.